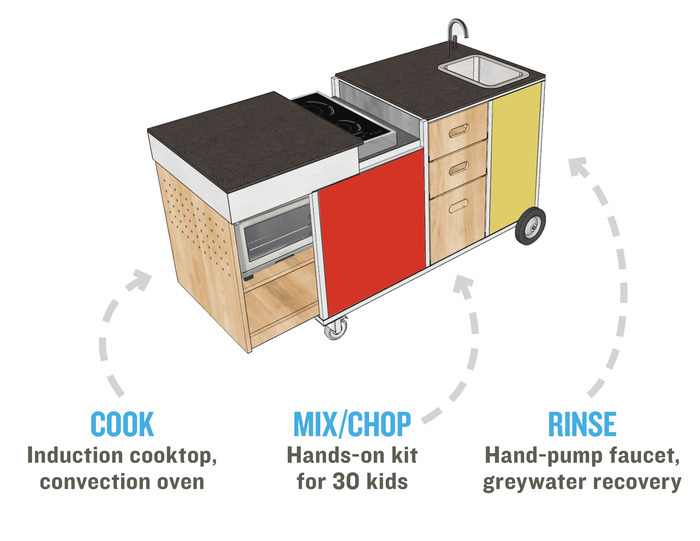 It’s a classroom kitchen on wheels! With an oven! 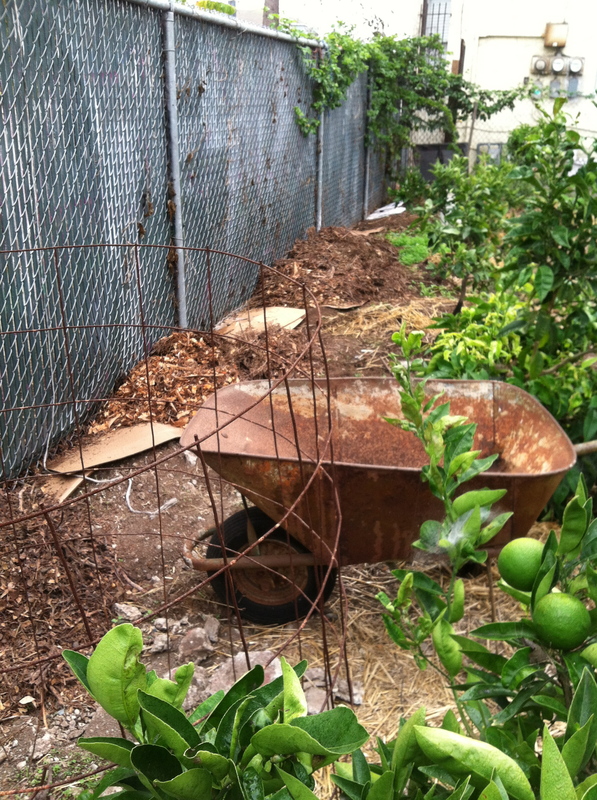 I just saw the prototype at the Edible Schoolyard and almost swooned. I need one. Not for my house, but for teachin’. This semester I’m teaching at California College of the Arts and boy we could use a kitchen in the classroom. So far my class has threshed wheat, made sauerkraut, eaten bugs (some of us), poached eggs, and made quesadillas. We’ve improvised with desks as cutting boards and a Korean stove to cook stuff, but this Charlie Cart would have made things a lot easier. I can see how it could be used on urban farms, at schools, and by local food not bombs chapters. Check out their kickstarter campaign, and please donate if you can! F-ing bermuda grass. I’ve been battling it and battling it. Ever since this blog began, and it still hasn’t gone away. It’s a rhizome-creeping nightmare. I swear the ants are helping it take over the world somehow. I think of weeds like bermuda grass and bindweed kinda like herpes. You’ll never get rid of them–you just have to learn how to reduce the outbreaks. 1. Remove as much of the weed from the area–pick axing is necessary to get the giant roots out. In times past, I would stop right there. But this year I’m taking it further. 2. Obtain cardboard. My sister used to be a breakdancer in the 1980s and she and her crew would pull out the cardboard on the livingroom floor and do some crazy spins on their heads and backs. I remember getting excited when we’d find a big fridge box that we could spread out. Well, the 80s are back for me because I am collecting sh-t tons of ‘board, mostly liquor store Doritos boxes (which seems strangely poetic). Then I spread them over the offending outbreak area. 3. Stack like 3 feet of wood chips over the cardboard. I’m lucky I got a free 18 square yard wood chip delivery from Ponderosa tree service. 18 square yards, btw, is bigger than a VW Rabbit. It’s served as a very fun place for children to climb and then play rock star. It makes me think they someone doing a music festival could actually have a completely solid yet biodegradable stage if they got a few of these loads in tandem. The chips are a mix of pine chips, leaves and bark, some branches. It’s rotting down and eventually the b-grass will return but I’ll be able to pull it out a lot more easily. The best thing about it? Smells like Christmas!! 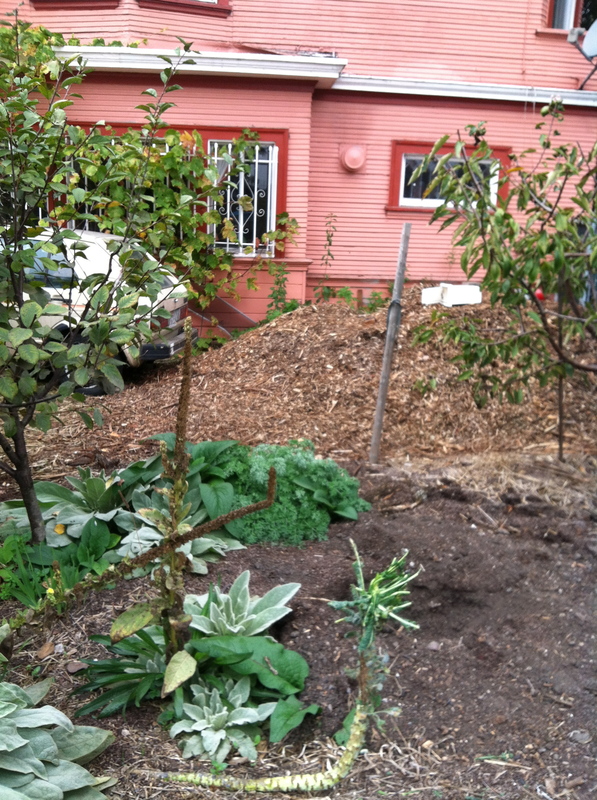 Gardeners in Oakland or Berkeley can get free woodchips from Ponderosa Tree Service, you just have to have space for a giant delivery truck to drop the load, and you can’t be too picky about what kinda wood chips you get.